Paul came to the bar following a successful sixteen year career as a chartered quantity surveyor in the construction industry, providing financial and contractual management across a wide variety of construction projects. It is this background that has given him his interest in construction law and related commercial property law which forms the main focus of his practise. 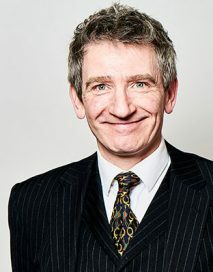 Paul regularly advises on and appears in court in all manner of property-related matters including construction contracts, boundary disputes, trespass, nuisance, rights of way and adverse possession. Having a detailed knowledge of the construction industry from the inside out has proved to be very useful and advantageous to Paul’s clients particularly in cases involving technically complex construction, contractual and quasi-contractual issues. Paul acts for both landlords and tenants in all types of commercial and residential tenancy disputes. With a particular emphasis on disputes within the construction industry Paul advises and acts for commercial clients in all aspects of dispute resolution from unpaid debt to complex contractual disagreements including shareholder and partnership disputes. Paul is frequently instructed to advise and represent beneficiaries and personal representatives in contentious probate matters and claims under the Inheritance (Provision for Family and Dependants) Act 1975. Outside his construction, chancery and common law practise, Paul also has a substantial personal injury and credit hire practise. Paul acts for claimants and defendants is road traffic accident claims, employers liability and general accident claims. Paul also has a very well-established practice in costs disputes and appears regularly in Detailed Assessment hearings on behalf of both claimants and defendants.